New Delhi [India], Dec 25 (ANI): In a veiled reference to BJP president Amit Shah, Union Transport Minister Nitin Gadkari stated that the party president should take onus if MLAs and MPs are underperforming. New Delhi [India], Aug 10 (ANI): Prime Minister Narendra Modi will on Friday attend an event and address a diverse gathering at Vigyan Bhawan to mark World Biofuel Day. New Delhi [India], Aug 03 (ANI): Finance Minister Piyush Goyal will chair the 29th Goods and Services Tax (GST) council meeting tomorrow at Vigyan Bhawan, New Delhi. New Delhi [India], Apr. 9 (ANI): Prime Minister Narendra Modi on Monday shared the success mantra for both private and public sector as three I's which are Incentives, Imagination and Institution building. New Delhi [India], Mar 13 (ANI): Prime Minister Narendra Modi will inaugurate the Delhi End TB Summit at Vigyan Bhawan today. New Delhi [India], Mar 1 (ANI): Calling for world peace, King Abdullah II of Jordan on Thursday said that the global war waged today is not against any particular religion but against extremism, hate and violence. 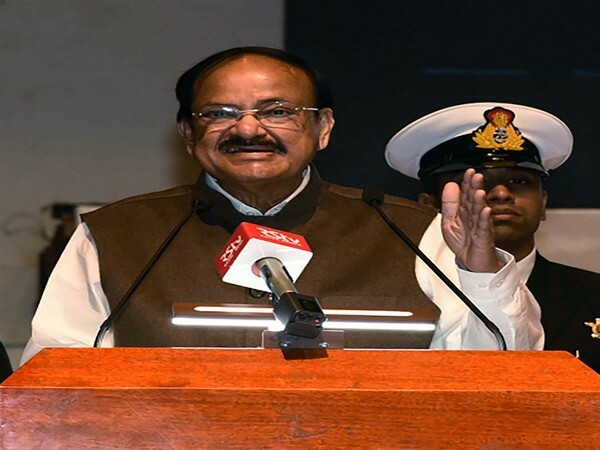 New Delhi [India], Feb 27 (ANI): Vice President Venkaiah Naidu hailed India as the "economic hope of the globe." New Delhi [India], Feb 26 (ANI): Jordan's King Abdullah II will be delivering a special address on "Islamic Heritage & promoting understanding" at Vigyan Bhawan during his visit to India. New Delhi [India] November 26 (ANI): Union Law Minister Ravi Shankar Prasad on Sunday urged the judiciary to ensure the separation of powers between the judiciary, legislature and executive.